Posted on 28 March, 2018 by Dana Hanson Posted in LIFEHouse Church	. A big thanks to Buzz and Donnice Brown, Tim and Cammy Mahoney, and Dale Layfield for creating a new planter at the front entrance! 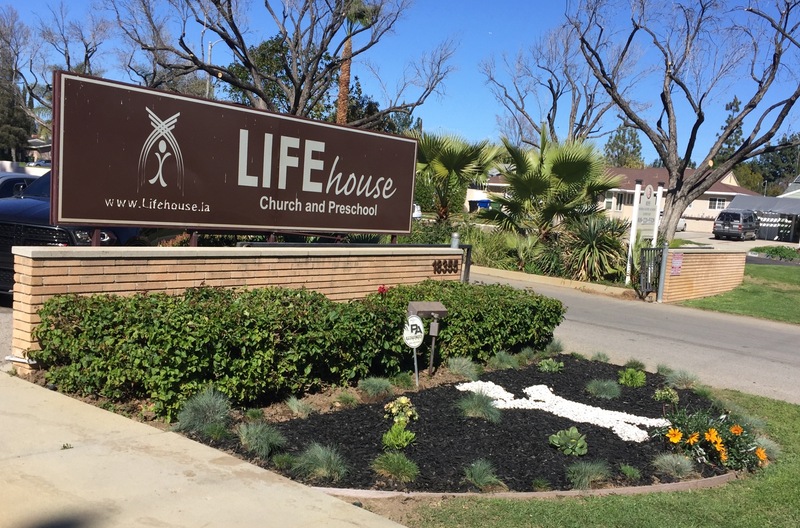 The new low water succulents and a rock garden motif with the LIFEhouse logo is awesome!